Resentment. Fear. Self-Pity. Intolerance. Anger. As Bill P. explains, these are the "rocks" that can sink recovery- or at the least, block further progress. 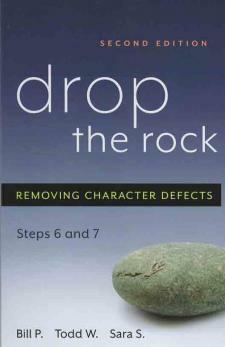 Based on the principles behind Steps Six and Seven, Drop the Rock combines personal stories, practical advice, and powerful insights to help readers move forward in recovery. The second edition of this addiction recovery book features additional stories and a reference section.